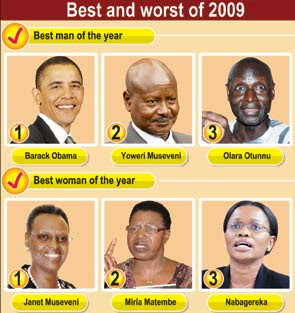 PRESIDENT MUSEVENI IS UGANDA'S MAN OF THE YEAR 2010! UGANDANS have voted US President Barack Obama as the man of the year, followed by President Yoweri Museveni and former UN diplomat Olara Otunnu. The almost 1,300 people who responded to the New Vision Best and Worst survey chose Obama for being the first black American president, winning the Nobel Peace Prize and promoting unity and peace. Museveni is at second position for being visionary and courageous, building the economy, managing security well and stopping the war in northern Uganda. In the biggest surprise of this year’s poll, UPC stalwart Otunnu came third. The readers appreciated him for returning home after almost a quarter of a century and planning to contest for the presidency. At position four is the Kabaka, Ronald Mutebi, who is hailed for cancelling his tour to Kayunga, thus saving many people’s lives. He is followed by Norbert Mao, who is commended for promoting peace in northern Uganda and Cranes coach Robert Williamson for winning the CECAFA Senior Challenge Cup. At position seven is UPDF boss Aronda Nyakairima, who is credited with stopping the LRA war, followed by Justice James Ogoola, hailed for his fight against corruption. The woman of the year is once again the First Lady, Janet Museveni. She is appreciated by the readers for fighting HIV/AIDS and promoting development in Karamoja. At second position is Miria Matembe for speaking out against corruption, followed by the Queen of Buganda, who is praised for promoting the education of girls. 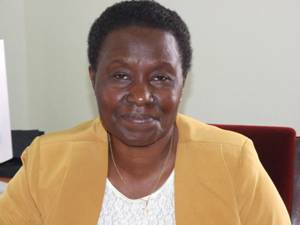 Also featuring in the top 10 of best woman is former IGG Faith Mwondha for her role in fighting corruption and the 14-year-old girl of Bushenyi who threw stones at the man who attempted to defile her, killing him in the process. New Vision readers classified the Government’s refusal to clear the Kabaka’s visit to Kayunga as the national blunder of the year. The decision triggered off the September riots in parts of Buganda which claimed the lives of over 20 people and damaged alot of property. Other blunders listed are the death of former army commander Maj. Gen. James Kazini at the hands of his girlfriend, and the President congratulating Mwai Kibaki upon his controversial re-election. Also among the top 10 blunders are the extravagant high-profile summits held in Kampala, such as the refugees summit and the AU summit, and corruption scandals such as CHOGM, NSSF and the National Forestry Authority (NFA). 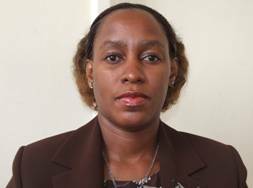 Worst woman of the year is Lydia Draru, the woman who confessed to killing Kazini although she argued that she acted in self-defence. She is followed by Beti Kamya (FDC) who is criticised for abandoning FDC, and DP spokesperson Betty Nambooze whom readers blame for causing trouble, supporting riots and engaging in unconstructive criticism. 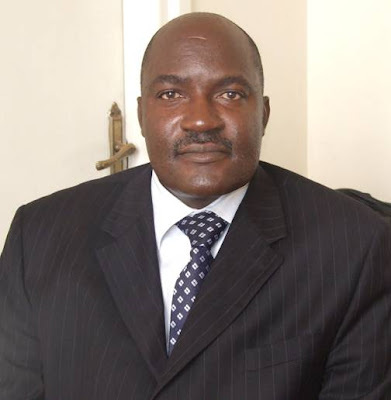 Worst man of the year is Kato Kajubi, the businessman who stands trial for sacrificing a 12-year-old boy in Masaka. He is followed by opposition leader Kizza Besigye whom readers view as rude and arrogant, not telling the truth and intimidating the Police. At third position is the Leader of the Opposition in Parliament, Ogenga Latigo, for travelling with a school girl at night and drunk driving. Joseph Kony, the LRA leader who fled to the Central African Republic, features only in fifth position, unlike in previous years when he was consistently voted worst man for terrorising northern Uganda. Works and transport minister John Nasasira came out as both the best and worst performing minister. He is hailed for completing the Jinja-Bugiri road and the Northern Bypass, and criticised for the country’s poor roads network. Nandala Mafabi was voted best MP of the year for the way he directed the public accounts committee. He is followed by Erias Lukwago, praised for performing his duties well. Beti Kamya is both the third-best and worst MP. While accused of betraying her party by some, she is praised for her ability to mobilise the masses by others. The three main achievements of the year, according to our readers, are the completion of the Northern By-pass after years of delay, the passing of the Land Amendment Bill and peace in Northern Uganda. Ranked as best investigative stories were the details of Kazini’s death, the CHOGM probe and the sh900m stolen from NFA boss Damian Akankwasa, money he kept under his bed. Bobi Wine, Pastor Wilson Bugembe and Bebe Cool were voted the best local musicians while athlete Moses Kipsiro, footballer Bryan Omwony and tennis player Duncan Mugabe were considered best local sports people. 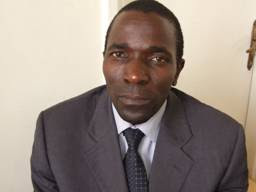 In January, in what the Uganda People’s Congress (UPC) leaders dubbed a ‘good gesture’, President Yoweri Museveni pardoned UPC’s Chris Rwakasisi who had been imprisoned over gross abuse of human rights during Milton Obote’s regime. 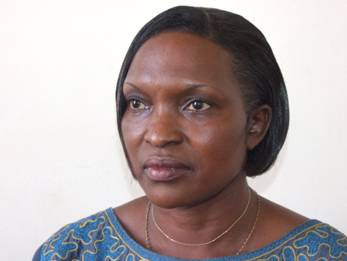 Although it has not yet materialised, optimism emerged when President Museveni directed minister for presidency, Beatrice Wabudeya, to set up public fora called ‘Barazas’ at the sub-county level for the local leaders to account to the local people for the public funds they received. In the first half of the year, the Forum for Democratic Change (FDC)-Beti Kamya storm resulted into a fight between party supporters at the party headquarters. Kamya who had been suspended and later pardoned, seems to have declared FDC a closed chapter. She started her own political organisation, Uganda Federal Alliance on which she has been sailing to carry a federalism message around the country. In February, the competition between Dr. Kizza Besigye and Gen. Mugisha Muntu over the presidency for the FDC dominated the media. Although Besigye won, some party MPs were unhappy with his role in compelling Sam Njuba to compete for the party’s chairmanship even when he was uninterested. Abdu Katuntu who had been unopposed, called it an act of acrimony in the party. 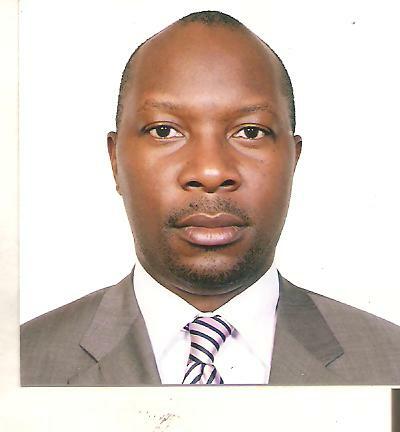 Mbale municipality FDC MP, Wilfred Kajeke, resigned his parliamentary seat in July over claims of rampant corruption in the country, abject poverty and famine in the northern and eastern regions. Many monarchists were left aback when the Government stopped a Muammar Gaddafi-sponsored Kampala meeting of kings from the Eastern Africa region which was scheduled for January 13. The Government said the meeting would engage traditional leaders in politics, which the constitution prohibits. Over 200 kings, princes, and traditional leaders were expected to attend. Early this year, there was a standoff between Uganda and Kenya over Migingo Island on Lake Victoria until Uganda removed her flag from there. In March, President Yoweri Museveni’s launch of patriotism campaigns generated controversy about how it should be handled. The opposition challenged Museveni and his NRM party to set the first patriotism example by uprooting corrupt officials in the Government. 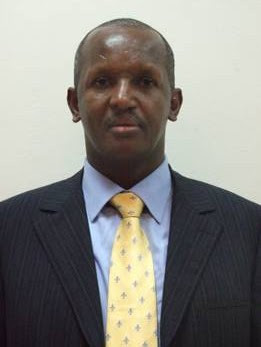 After refusing to appear before Parliament’s vetting committee, Faith Mwondha, the former Inspector General of Government (IGG), President Yoweri Museveni appointed Raphael Baku, as acting IGG. The elections in May painted a picture on the various parties’ popularity on the ground. The ruling NRM party won the elections with 82.8% of the total vacancies, FDC got 7.9%, DP 1.7%, 0.7% for UPC, 0.01% for Conservative Party and 6.7% for independents. The Lubaga division LCIII election which the NRM candidate, Peter Ssematimba, won made the biggest news. MPs from West Nile, Acholi, Lango and Teso sub-regions threatened to secede from Uganda if northern Uganda continues to be ‘marginalised’. Around June, a new rebel group, Uganda Patriotic Front, was revealed. The group is reportedly financed by some Acholi Ugandans in diaspora. Eleven suspected rebels were remanded to Luzira Prison. Ramathan Magara was convicted of manslaughter for the killing of two supporters of opposition leader, Dr. Kizza Besigye at Bulange. The NRM party abolished electoral colleges to allow all party members participate in electing the party’s flag bearers at the various levels. In July, Uganda assumed chairmanship of the UN Security Council with focus on promoting peace, conflict resolution and peace building. UPC sued UPDF over allegations that most high ranking army officers were from western Uganda. 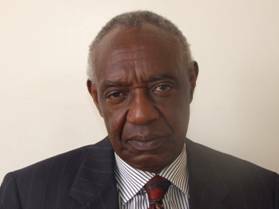 The return of former UN diplomat and UPC stalwart, Olara Otunnu, to Uganda after over 20 years created a media stir in August. He is currently traversing the country campaigning for UPC’s presidency. 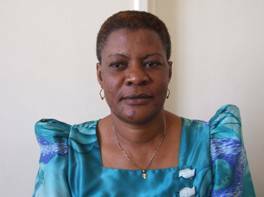 Ignoring the opposition’s call to overhaul the entire Electoral Commission (EC), the President re-appointed Dr. Badru Kiggundu and other commissioners to head the EC. The move was opposed by the opposition parties. In a bid to oppose the proposed expansion of Kampala by the central government, the Buganda Lukiiko called for relocation of the capital city so that Kampala remains Uganda’s commercial city. The Bunyoro issue of foreigners’ (Bafuruki) dominance in their land became captivating in August. The Bunyoro cabinet threatened to vote for only leaders who would address the past injustices committed against Bunyoro which led to an influx of other tribes into their land. Riots rocked Kampala and neighbouring areas as angry Baganda protested against government’s decision to stop Kabaka Ronald Muwenda from visiting Bugerere County in Kayunga district. About 20 people died and property worth millions was destroyed. This saw the bimeeza banned and four radio stations — CBS, Ssuubi FM, Akaboozi and Radio Sapientia closed. 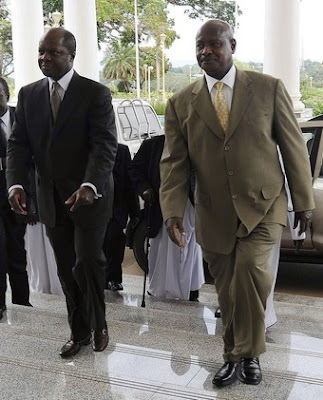 Subsequently, the Kabaka met the President at State House, a move that cooled the tempers of the two sides. While the talks between the Kabaka and the President were expected to be ongoing, the Land Bill which Mengo had vehemently opposed, was passed by Parliament. It is just awaiting the President’s signature to fully become a law. It was no surprise therefore, that at the recent Buganda conference, the Kabaka said Ugandans had been denied their right to have federalism. DP’s Delegates Conference that had been slated for November never took place due to internal squabbles and irregularities in the party’s grassroot elections which ended prematurely. Mid this year, DP’s financiers withdrew their support for the party over internal conflicts. UPC also could not also hold its Delegates Conference in November as planned over internal disagreements. Four senior party officials — John Okello-Okello, Peter Walubiri, Chris Opio and Benson Obua secured a court injunction halting the grassroots elections and stopping the party leaders from using party funds. However, UPC officials were ordered to settle their matters out of court recently. In December, four political parties, FDC, UPC, CP, and JEEMA signed a protocol that led to creation of a common electoral platform which requires them to field joint candidates in the 2011 parliamentary and presidential elections. DO UGANDANS GET MONEY WORTH FOR THE AMOUNT SPENT ON LEGISLATORS? 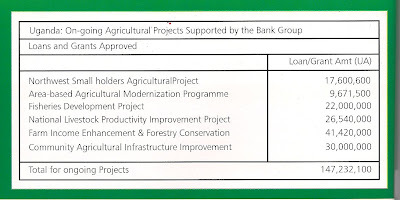 Source: African Development Fund - May 2008 "Realizing Partnership between AfDB and Uganda." 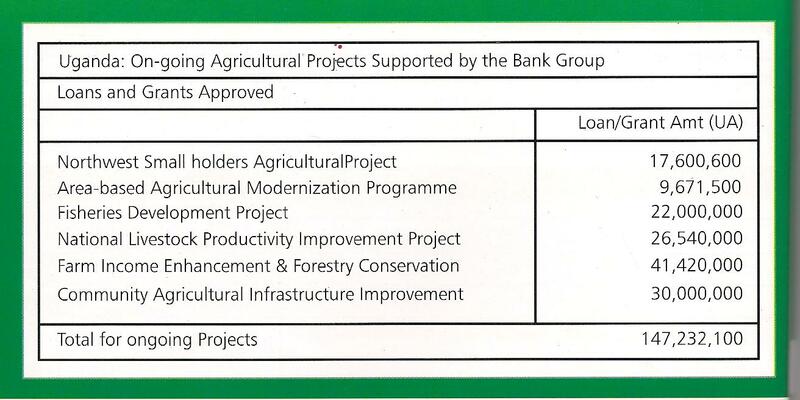 Below are tables showing what the Government of Uganda has succeeded in borrowing from the African Development Bank. 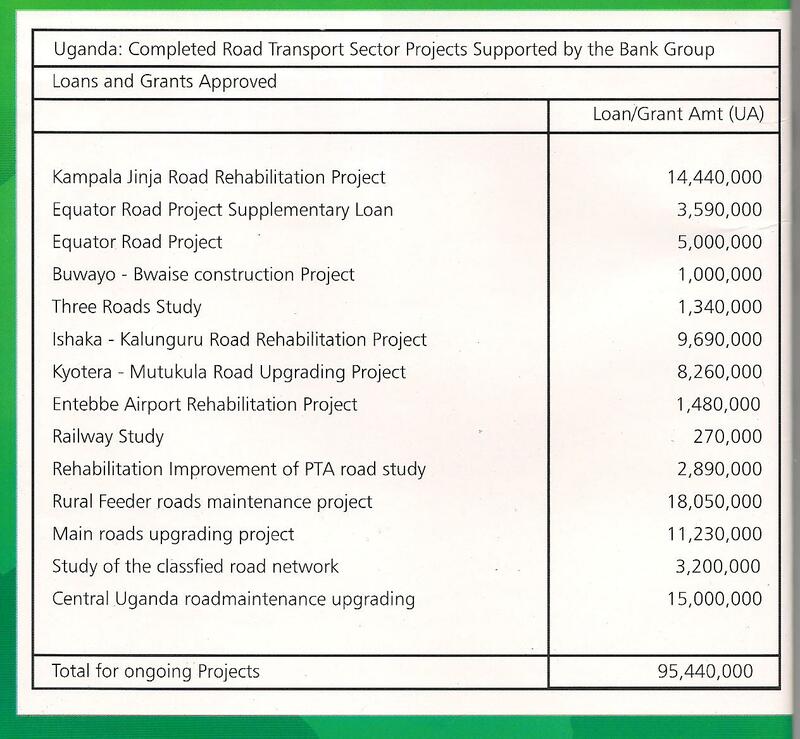 The Auditor General and the Parliament of Uganda ought to be the chief watchdogs over this funding. 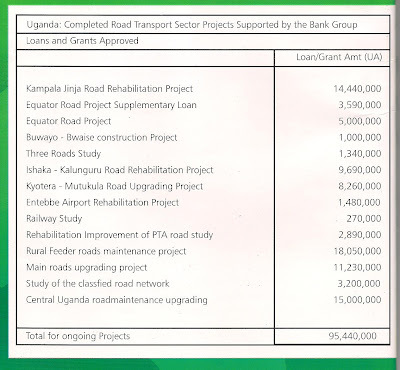 It is sad to see substantial amounts of money borrowed in the name of the people of Uganda which monies have to be paid back being misused by those in authority. This is absurd. If there was any event that would define business in Parliament in 2010, what would be it? 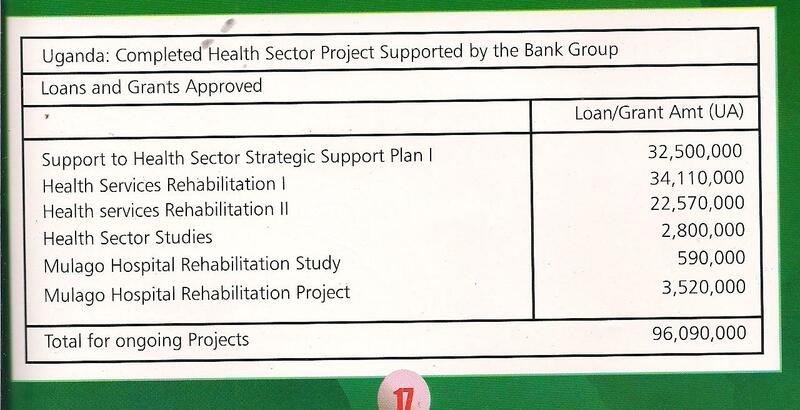 Would it be the multitude of loan requests that MPs passed or the contentious supplementary budgets approved? Emmanuel Gyezaho explains the major issues. It will be the year in which the notion of checks and balances took its most fatal knock since the advent of multiparty politics in 2005. A year when back-room lobbying and behind-the-scenes manoeuvres were the order of the day, 2010 will be remembered not so much for the positive influence of Parliament in playing its oversight or legislative role, it will go down as the year in which the government had more leeway than anytime before in the life of the 8th Parliament in seeking parliamentary sanction for whichever request it tabled. Without question, the debate of a controversial report by Parliament’s Public Accounts Committee stands out as the key highlight of business conducted by the House in 2010. For nine months, Budadiri MP Nandala Mafabi and his legion of inquisitors, conducted an investigation based on the forensic report by the Auditor General, Mr John Muwanga, into the alleged misuse of Shs500 billion meant for the 2007 Chogm in Kampala. A report was compiled, naming at least 10 senior government officials on various charges including abuse of office and fiddling with taxpayer’s money. The report was tabled in May despite a spirited effort by NRM members to block its presentation, while the public held its breath to see how Parliament would handle yet another high-profile investigation. It did not help matters that the report was tabled just before Parliament broke off to precede the start of the fifth session, the last in the life of the 8th Parliament. 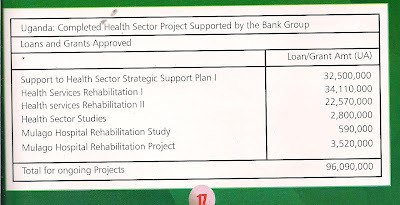 That meant the Chogm report would be shelved to deal with more ‘urgent’ business such as passing the Shs7.024 trillion 2010/2011 budget in which government funding had shot to 73 per cent with donors chipping in the other 27 per cent. There was also the matter of debating President Museveni’s State of the Nation Address, another drab process that ensured that the Chogm debate would be put on hold. The only highlight here was the sticky debate over Mr Museveni’s assertions about the confident growth of the Ugandan economy. The NRM leader had reported impressive growth figures above 7 per cent despite effects of the global economic downturn, while the opposition claimed the figures had been cooked. They cited the widening disparity in income distribution in an economy where small fractions of the population eat the lions share. There were moments when it seemed like Parliament was handling everything else--passing five loan requests in quick succession in amounts close to half a trillion shillings, to debating local constituency problems involving petty complaints-but Chogm. 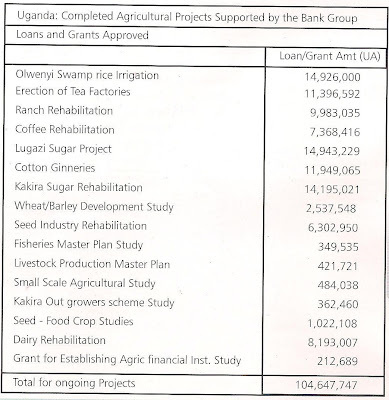 Parliament passed a consortium of loan requests that will guarantee Uganda’s foreign debt go beyond the current Shs8 trillion mark. Debate raged over the sustainability of borrowing and whether Parliament was being progressive in passing every loan request tabled by the government. For the Chogm report, it wasn’t until late October, almost six months after its tabling that debate finally opened. It seemed the ghosts of Temangalo—that dreaded investigation two years earlier into a land transaction executed like a back-door sale, had returned to haunt the House. Same script, same faces albeit a few different actors! We witnessed for the second time MPs discuss and debate matters bordering on criminality and actually take a vote to exonerate the alleged perpetrators. It remains to be seen where else in the world a legislative body has passed judgment on matters criminal through a vote process. But just like with the Temangalo scandal, Security Minister Amama Mbabazi was in the thick of things and said his confidence never wavered for a single moment during the entire melodramatic inquiry. MPs voted to clear his name, so did they for Finance State Minister Fred Omach, who curiously processed the release of some Shs3 billion to a hotel on Entebbe Road for the construction of 200 beds only three days to the Summit. Speaker Edward Ssekandi would find himself in the eye of the storm yet again over Chogm matters. His stewardship came under the spotlight with several MPs expressing dissatisfaction with his handling of the debate. In 2007, as government pushed Parliament into passing a Shs153 billion budget for Chogm, there was a storm on the floor after the opposition complained that Parliament had not been given enough time to scrutinise the budget and we witnessed the first open revolt by MPs against the Speaker. Was history repeating itself three years later? So, when some of the alleged so-called big fish were let off the hook, it came as no surprise when charges did the rounds accusing Mr Ssekandi of murdering the Chogm report. The Speaker did not take the charges lying low and went on the offensive. With the debate coming on the eve of the 2011 general elections, the politics of survival crept in to play a critical role over how events played out on the floor. ATTEMPTS TO MEND FENCES HAVE NOT YIELDED POSITIVE RESULTS BETWEEN PRESIDENT MUSEVENI AND KABAKA MUTEBI HENCE THE BAD LAW TO REGULATE TRADITIONAL LEADERS! 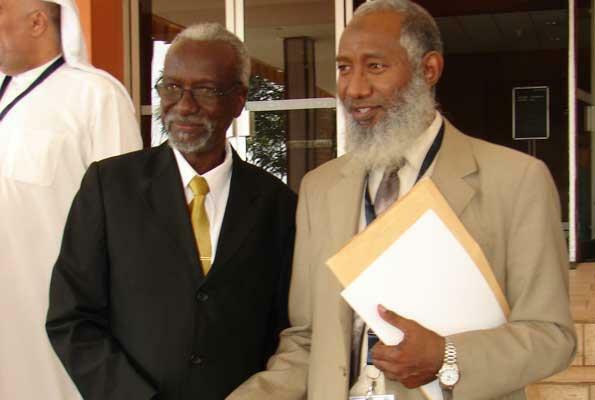 TALKS THAT SHOWED PRESIDENT MUSEVENI'S REAL COLOURS. HE INSISTS ON TALKING TO KABAKA WHILE THE PEOPLE BELIEVE THERE ARE PEOPLE HE SHOULD TALK TO TO SORT THE MATTERS. HE ACTUALLY DEEMS KABAKA! The Bill in Parliament to regulate the Traditional Leaders is proof that President Museveni’s leadership is no longer in respect of the will of the people of Uganda regarding how they should be governed. What makes the move even more absurd is the timing. Having got 59% of the vote in the Presidential Elections of 2006 and that the trend is expected to keep on the downward as witnessed all the way from 1996 to 2006, it defeats understanding that cabinet in its wisdom could make a badly advised Bill and decide to have it in Parliament at a time when the Members of parliament are out looking for votes. This is proof that president Museveni is sure of his win in the forthcoming elections (this is against the background that he refused to remove the current commission which many have no trust in as it is a Movement (NRM) creation without opposition representation among other proposals). It is no surprise that NRM commission for an Opinion Poll which gave Museveni 66% victory, which on ground is laughable because that type of popularity is long gone! Many of us are tired of wasting energies over a system we cannot change however much it proves a liability to the country and its future. The leadership seem to have a lot of hidden agendas and have to continue in power whether the majority of the people of Uganda are fed up, hence the continued manipulation and threats to keep people timid and in constant fear of a future so uncertain. Many of us are civilized enough to know the type of governance we cherish and unfortunately, President Museveni is no solution to such governance! 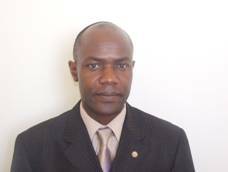 On Hard Talk programme on KFM Radio between 7.00 - 8.00pm; Monday, December 27, 2010, Major Ruranga Retired a representative of FDC who was hosted said that President Museveni survives in power by using 3 M's that is:"Money; manipulation and the Military." Kampala — SCENES of joy and surprise summed up the mood in Parliament as it overwhelmingly voted in support of Constitutional Amendment No.3 that paves the way for the third term. The Speaker said 232 MPs voted for, 50 against and one MP, interestingly an army representative Col. Fred Boogere, abstained." Given the current trend, and that Buganda was long in existence before Uganda, the way to go may be to stop the marriage that is seeing Buganda get on its death bed. We look very un-serious to the outside world, we keep begging, have in place leaders who cannot give the country a better future and we look on with no solution to the problem. My view is simple. If many of the voters long to see a change and this change is impossible, we need to look to the United nations to help us out and have our former status and glory recovered. The way is to get on the drawing board and see how we can have Buganda out of the Uganda picture. The marriage is hopeless yet we can be far better off. many of the problems of the day are simply because we are party to an arrangement which only promotes hatred and is after marginalizing us. We challenge Uganda government and those who hold power to end abusive practices against Baganda and other tribes in Uganda and respect international human rights laws. If it is not possible, we should go ahead and have: THE FEDERAL STATE OF BUGANDA. BECAUSE THE CENTRAL GOVERNMENT TOOK OVER THE OFFICIAL RESIDENCE OF THE KATIKIIRO (BUGANDA'S PRIME MINISTER)KABAKA MUTEBI AS PER THE CULTURES CANNOT ENTER HIS OFFICIAL RESIDENCE! Even as President Museveni concedes that someone in Cabinet may have stuffed the new cultural leaders Bill, Buganda Kingdom yesterday released a brief, detailing why they insist the now contentious piece of proposed legislation should be withdrawn outright. 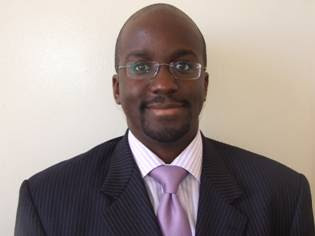 “By placing Isabaruli Constantine Butamanya Mwogezi Mwatyansozi I and Apollo Sansa Kabumbuli II, the Kamusawaga at par with Ssabasajja Ronald Muwenda Mutebi II, the Bill seeks to legalise the politics of divide and rule and systematic annihilation of the Kingdom of Buganda,” the brief reads in part. 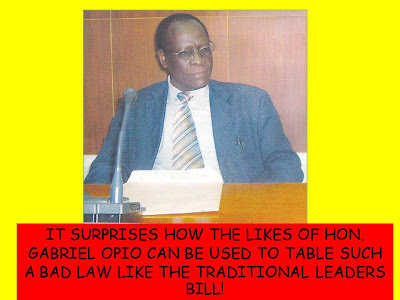 As Buganda Kingdom kept the spotlight on its opposition to the Bill, it emerged yesterday that Gender Minister Gabriel Opio, the architect of the Bill, has begun investigating claims by President Museveni that some sections in the Bill were never discussed in Cabinet. The six members of the sub-committee that handled the Bill are Security Minister Amama Mbabazi (chairperson), Isaac Musumba (Regional Cooperation), Gabriel Opio (Gender), Adolf Mwesige (Local Government), Attorney General Khiddu Makubuya and his deputy Freddrick Ruhindi. Expressing the reasons for their objections, Buganda Attorney General Apollo Makubuya, who authored the kingdom brief, points out that under Clause 8 of the Bill, “it will be okay for any group to oppose the Kabaka to go to any area in Buganda on the ground that they don’t “consent to pay allegiance to him. This way, the Kabaka will be denied “jurisdiction” to that part of Buganda.” The brief dated December 23 offers Buganda’s insights into the ramifications of the Bill and spells out reasons why cultural institutions need to pull together in the fight against efforts to silence them. Church leaders around the country went political at this year’s Christmas Day celebrations. They prayed for peaceful general elections in 2011 and expressed dissatisfaction over a new law barring traditional leaders from partisan politics as well as the icy relations between Buganda Kingdom and the central government. Prime Minister Apolo Nsibambi was part of a congregation that listened to the sermons of Bishop Wilberforce Kityo Luwalira at Namirembe Cathedral in Kampala, who expressed his disaffection with the government’s proposed law which seeks to regulate the activities of traditional leaders. Bishop Luwalira said although relations between Buganda and the central government had improved recently, the new Bill would engage the two institutions in reverse gear. “When government re-opened CBS radio, people in Buganda started rejoicing, but we have been taken aback because of the new developments in Parliament concerning this new Bill,” he said. Bishop Luwalira described some of the Bill’s contents as not justifiable—although he offered no specifics, and cautioned Members of Parliament to tread carefully while scrutinising the proposed law. Prof. Nsibambi, who leads government business in Parliament, moved to allay the Bishop’s fears and said the new Bill was simply a proposal subject to amendment. He advised that the non-ending conflicts between Buganda and the central government can only be resolved peacefully with prayer. At the All Saints Church Nakasero, head of the Anglican Church Archbishop Henry Luke Orombi used his sermon to preach peace for South Sudan’s January referendum and Uganda’s 2011 general election. “May there be no confusion. May the elections come, Ugandans cast their votes, the counting be done, the announcement of results be declared that everybody accepts that that is the mandate of the people as they have spoken. May the next government be installed in peace,” he said. That message was re-echoed at the St Augustine Community Church Makerere, where Father Joseph Ndug’u delivered the day’s sermon. “As we celebrate Christmas, let us pray that all our leaders including ourselves preach reconciliation and peace now that we are going into elections,” he said. The Rev. Canon Johnson Ebong used his sermon at St Francis Chapel Makerere to speak about homosexuality and prostitution. President Museveni was in Kirihura District where he addressed worshipers at Nshwere Church of Uganda in Nyabushozi and warned politicians against using religion or ethnicity as a ticket to public office. “What does it help you to belong to a certain tribe or religion? Would you feed and thrive on tribal and religious identity,” asked Mr Museveni. 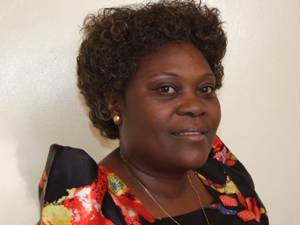 A senior Cabinet Minister has told religious leaders to concentrate on spiritual work and leave issues of governance and enacting laws to politicians, in the wake of a fallout resulting from a government Bill seeking to regulate the activities of cultural leaders. Hajj Ali Kirunda Kivejinja, the Internal Affairs Minister, said yesterday that although religious leaders can give proposals on how best they want the country to be governed, it remains the responsibility of politicians to decide better laws for the country. “Our work as government is to govern and initiate laws that we think are good like you -the journalists gather news and disseminate it. So, for the religious leaders, theirs is to spiritually guide the society and I think they are doing it well,” he said. Hajj Kivejinja was speaking during the opening of the 8th Assembly of Muslim NGOs working in Africa in Kampala. The six-day conference sponsored by the Kuwait Zakaat House is organised by the International Islamic Charitable Organisation in conjunction with Islamic University in Uganda. Hajj Kivejinja was reacting to a question from a journalist who sought his take on religious leaders who call for the withdraw of the Institution of Traditional or Cultural Leaders Bill, 2010. The Bill, among others, seeks to operationalise Article 246 of the 1995 Constitution and bans traditional leaders from engaging in partisan politics, prescribes benefits and penalties in case of the violation of the law. In their Christmas messages several religious leaders cautioned government against enacting laws that might cause disharmony in the country, citing the controversial Institution of Traditional or Cultural Leaders Bill, 2010 as one of such laws. The Bill, tabled before the House a fortnight ago, has since drawn the attention of Buganda kingdom leaders and opposition leaders all of whom say it is provocative and demeaning to the traditional institutions and should be withdrawn for the sake of peace and harmony in the country. Hajj Kivejinja said absence of such a regulation was responsible for the unnecessary ‘clashes’ between the government and cultural institutions, citing the September 2009 riots in Kampala. The Bill bars cultural leaders from engaging in active politics. The Kingdom of Buganda is situated in the Central region of the country known today as Uganda. It is right in the heart of Africa astride the Equator and in the North West shores of Lake Victoria and it's also the source of the great river Nile. Buganda Kingdom is the home to the nation's political and commercial capital city Kampala as well as the country's main International airport Entebbe. Buganda has a population of 5,500,000 persons as per the census of 2002. The Kingdom's equatorial climate provides plentiful sunshine which is moderated by relatively high altitude. Since it's near Lake Victoria, it's mean annual temperature ranges from 16 degrees 25 degrees Celsius. Daytime temperature averages between 8 degrees to 10 degrees Celsius warmer than night temperatures. Rainfall is evenly distributed around the area and the mean annual rainfall often exceeds 2100 millimeters. The area is warm rather than hot and temperatures vary little throughout the year. The Baganda had a centralised system of government which by 1750 was the most well organised in the interlacustrine region. The head of the state was the king known as Kabaka. Previously the Bataka had a lot of political influence. They enjoyed a position almost simlilar to that of Kabaka. However after 175O, the Kabaka assumed a position of political importance far superior to the ranks of the Bataka. The Kabaka's position was hereditary but it was not confined to any one clan because the king would take the clan of his mother. The Kabaka used to marry from as many clans as possible and this encouraged loyalty to the throne in the sense that each of the fifty-two clans hoped that it would one day produce the king. The other persons who occupied positions of political and social importance were: the Prime Minister known as the Katikiro, the Mugema, the royal sister known as Nalinya, the Queen mother known as Namasole and the Naval and Army commanders referred to as Gabunga and Mujasi respectively. The kingdom was divided into administrative units known as Amasaza (counties) which were further sub-divided into Amagombolola (sub-counties), and these were sub-divided into parishes called Emiruka which were subdivided into sub-parishes. The smallest unit was known as Bukungu which was more or less a village unit. All the chiefs at all levels were appointed by the Kabaka and they were directly responsible to him. He could appoint or dismiss any chief at will. After 1750, chieftainship was no longer hereditary. Chieftainship was accorded on clan basis but only to men of merit and distinguished service. Buganda Kingdom has called for the withdrawal of a proposed bill barring traditional leaders from cultural leaders from participating in partisan politics. The Institutions of Traditional and Cultural Leaders bill, which was tabled before Parliament last week, seeks to bans them from promoting or providing direct support to a political party or its activities, as well as making statements against government programs. 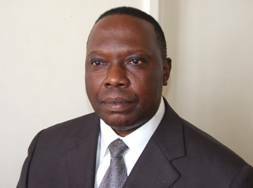 In a petition filed by Buganda Kingdom’s Attorney General, Apollo Makubuya to the Speaker of Parliament, Edward Kiwanuka Ssekandi, the kingdom says the bill is a direct attack against the kingdom and if passed in the current form would interfere with the operations of the kingdom’s affairs. Makubuya says the bill is also inconsistent with the 1995 constitution and calls for the deletion of some of the controversial clauses, including government’s withdrawal of its recognition for a traditional or cultural leader deemed to have contravened the constitution. Speaker Ssekandi however explained that is only government with the powers to withdraw the bill and advised them to wait for the public hearings in the joint committees of Legal and Gender slated for next month to present their views. The four-party opposition Inter-Party Cooperation (IPC) has said it will drag the government to the Constitutional Court if it enacts the cultural leaders Bill into law. Speaking during a media conference in Kampala yesterday, the IPC campaign task force chairman, Mr Sam Njuba, said some provisions of the Institution of Traditional or Cultural Leaders Bill are offending and contravene the Constitution. “It (Bill) contravenes the national Constitution and no right thinking Ugandan should support such a law,” he said. Flanked by Makindye West MP Hussein Kyanjo, Mr Njuba described the proposed legislation as part of a grand scheme by the government to belittle traditional leaders, particularly Kabaka Ronald Mutebi. 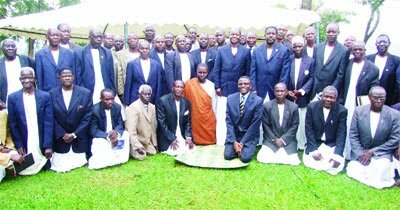 “Like in Buganda, traditional or cultural leaders are revered and widely respected, and are the embodiment of social values and aspirations and indeed the very core of the identity of their being. The Bill seeks to legally erode this reverence and respect,” he said. The Bill which seeks to operationalize Article 246 of the Constitution, and currently before Parliament, has since drawn the attention of religious leaders, Buganda kingdom leaders, including the Kabaka and opposition leaders, all of whom say it is provocative and demeaning to the traditional institutions. They have demanded that it should be withdrawn in the interest of peace and harmony in the country. But Gender Minister Gabriel Opio, whose ministry drafted the Bill, said last week that the government will not withdraw it until the Constitutional Court decides otherwise. The Bill, among others, seeks to operationalize Article 246 of the 1995 Constitution and bans traditional leaders from engaging in partisan politics, prescribes benefits and penalties in case of the violation of the law. The Constitution bars religious and cultural leaders from engaging in activate politics. 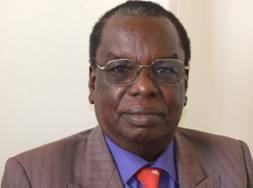 Mr Kyanjo said: “It is a mockery of peace and tranquility to suggest as the new Bill does to charge the traditional rulers in the courts of law,” he said adding “We are aware that there have been several attempts by the powers that be to use the monarchy politically and place it under their armpits unsuccessfully. The new Bill clearly attempts to do just that.” He said MPs from Buganda are currently lobbying their colleagues from other regions to support their position to press government to withdraw the Bill. “We are also making contacts with other kingdoms to form a joint platform to oppose this Bill,” he said. To end 2010 in style, the Government of Uganda has proposed a piece of legislation designed to legally cover cultural leaders. It has hurriedly presented a Bill to Parliament allegedly seeking to operationalize Article 246 of the Constitution. The IPC does not support this Bill. The timing of this Bill is strange. It appears the real intention is to confront those leaders perceived to be problematic and unsympathetic to an oppressive and dictatorial regime. We all recall very loud and dramatic complaints about unanswered telephone calls. Ugandans died as a result. This talk has recently re-surfaced. Now through this draconian proposed law, the rights of Ugandans are fundamentally threatened to being trampled upon. Where, like in Buganda, cultural leaders are revered and widely respected, and are the embodiment of social values and aspirations and indeed the very core of the identity of their being, the Bill seeks to legally erode this reverence and respect. It seeks to belittle traditional and cultural leaders and subject their existence to the whims of the government of the day. Amongst the most offending provisions which seek unjustifiably, undemocratically and unnecessarily to curtail the rights of cultural leaders are issues of jurisdiction, personal liability, recognition and partisan politics. 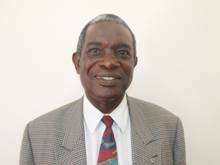 It is proposed that traditional leaders are to be recognised or their recognition withdrawn by government, on the basis of subjective considerations through a gazetting process. The point is government did not create these institutions but only restored them; so why does it think it can arrogate to itself power to dismantle them? Re-enacting Article 246(3)(e) of the Constitution, the Bill bars engagement in partisan politics. This is not new but the detailed proposals are worrying. For example is it partisan politics for a traditional leader to criticise government or comment on Bills before Parliament? Yet it is not partisan politics if such a leader supports government programmes. What it means is that if a Bill were proposed to declare a male traditional leader female, it would be illegal for the affected leader to express any view on such a Bill. On the other hand meanwhile, a traditional leader’s act of voting effectively means that he is engaging in partisan politics. The question is ‘are cultural leaders therefore not supposed to vote?’How does government consider such facts? The Bill proposes that traditional leaders in any territory with a regional government shall be the titular heads of such regional government. This headship is annually rotational among the traditional leaders in that territory. One wonders whether this is within the culture, customs or traditions of the persons in such a territory. Although traditional leaders are not to engage in partisan politics, they will head regional governments, which are themselves made up of partisan politicians! What a paradox! In an attempt to find legal grounds to withdraw recognition, the Bill proposes that traditional and cultural leaders will be personally liable and vicariously liable for all civil and criminal wrongs committed by such leaders agents or employees or who act under such leader’s authority. Therefore a Ssaza chief or a sentry at Bulange who defaults in paying a local shopkeeper makes the Kabaka liable. As citizens of Uganda, employees of such leaders are to have their legitimate political rights curtailed for fear of offending the law and visiting liability on the Kabaka. The Bill also seeks, very tacitly to take away the territory of a traditional leader. The jurisdiction of a traditional leader does not extend to any area or person who indicates he/she does not owe allegiance to a particular traditional leader. If for example a section of people in Masaka refuse to owe allegiance to the Kabaka of Buganda, Masaka becomes excluded from Buganda regardless of the culture, norms and practices of the people of Masaka. Any contact with a foreign government is prohibited without the prior approval of Minister of Foreign Affairs. This must include visits. Are these leaders being placed under house arrest? We urge all right thinking Ugandans to resist this latest affront on the rights of their traditional leaders. Forum for Democratic Change & Inter-Party Cooperation Political Bureau. Buganda Parliamentary Caucus yesterday passed a bi-partisan resolution, rejecting the new government Bill seeking to regulate the activities of traditional or cultural leaders in the country which they believe targets their king. Yesterday’s resolution is yet another low point in the already icy relations between Buganda and the central government not unlike the friction which led to the 1966 Crisis when then executive Prime Minister Milton Obote disagreed irreconcilably with the Kabaka who was the ceremonial president. The unanimous resolution in a Caucus meeting chaired by Rose Namayanja (NRM, Nakaseke) flies in the face of Cabinet efforts to operationalise Article 246 of the Constitution and floated an alternative proposal—asking the government to withdraw the Bill. But Gender Minister Gabriel Opio said yesterday that the government will not withdraw the The Institution of Traditional or Cultural Leaders Bill, 2010, until the Constitutional Court decides otherwise. The resolution to reject the government Bill was moved by ruling NRM MPs Rosemary Sseninde (Wakiso) and Umar Mawiya (Kalungu East) and seconded by Kampala Central MP Erias Lukwago, Lulume Bayiga (Buikwe South) and Betty Nambooze (Mukono North). 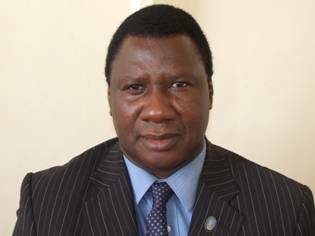 Makindye West MP Hussein Kyanjo moved a motion to condemn the two Gender ministers, Mr Gabriel Opio and Ms Rukia Nakadaama, the architects of the Bill, as other NRM MPs from Buganda led by Lwemiyaga MP Theodore Ssekikubo apologised on behalf of their NRM colleagues in the House. “I take this opportunity to apologise to Ugandans and in particular traditional leaders on behalf of the NRM party over the bad feeling created by this Bill and I also call upon President Museveni to withdraw the Bill,” Mr Ssekikubo said. When Ms Namayanja put the question to the members—those in favour say aye and those to the contrary say nay, all MPs in the meeting responded in unison, “aye” and immediately started singing Ekitibwa Kya Buganda (the Buganda Kingdom anthem). But in a meeting meant to be closed but was opened to the journalists, Buganda MPs condemned the government for attempting to suffocate cultural leaders and vowed to push for its withdrawal from Parliament. Before the meeting, MPs first accompanied Buganda Kingdom Attorney General Apollo Makubuya and David Mpanga to present a petition to the Speaker, Mr Edward Ssekandi. The two ministers said they were sent by Buganda Katikkiro Eng. 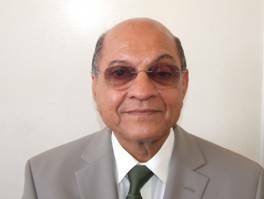 J.B Walusimbi. I don’t have the slightest whiff of what the proposed law on cultural and traditional leaders is intended to achieve. The institution of Traditional or Cultural Leaders Bill, 2010 was presented to Parliament last week and is due for scrutiny by the legislators. Save for the perks that the bill intends to bestow on these leaders, the same law wants to limit, if not completely delete, the cultural leaders’ influence on their subjects’ lives. If passed, the leaders will among others, be prohibited from endorsing presidential candidates, be forbidden from making controversial political statements, and if they don’t stick to some of these regulations, risk being disowned by the central government. A simple English dictionary defines a leader as a person who rules, guides or inspires others. If these leaders are not able to influence or guide their followers, be it in matters of politics, culture or religion, then why should we have them? This bill is almost asking the kings and chiefs to become mere listening posts if not mannequins! How practical is it for a leader not to have a political preference or position? Are these cultural leaders inanimate things who are not supposed to feel, think and comment on matters that affect their subjects? So, if the people of Bunyoro feel they should channel their complaints about land squabbles or any other matter through the Omukama and not the MPs, should the king chase them away for fear of being dethroned by the state or for fear of risking the withdrawal of recognition from government? Why should taxpayers then foot the bill for the huge perks accorded to the traditional leaders if they can’t even mobilise the people against corruption or political injustice? It’s like asking church leaders not to engage in politics yet they shepherd the politicians. What should a preacher preach to politicians? Likewise, culture cannot be distanced from politics. Oddly, the very government that is proposing to clip the traditional leaders’ wings is busy courting them through the rehabilitation of their palaces! So it is still not clear why government is opposed to their overt involvement in politics and is comfortable with the covert one. Why are they rebuilding these palaces if government does not want the support of the cultural chiefs? The traditional leaders, being part of the community, want people to think about what they are doing and it’s important for them to engage with their potential representatives, so that the people who are elected reflect the community values and expectations. Why should it be an offence for a king to reject a candidate whom he thinks does not represent the true values of his community? Last year, the country almost came to a standstill because of the standoff between the Kabaka of Buganda and President Museveni. The President complained that the Kabaka was not picking his phone calls and that became a matter for national security to deliberate. Perhaps the Kabaka’s silence was reminding the President that cultural leaders are not supposed to get involved in politics. The President is a politician and the Kabaka is a cultural leader, so the latter not picking up the calls from the former should not have been taken in bad taste, because that’s what the regulations demand. Cultural leaders have influence and politicians have always had huge interest in approaching them with the objective of gaining endorsement. Unfortunately, their huge influence has also been their own undoing. It’s unfair and demeaning for the state to link the value of these traditional institutions to ridiculous perks that would be finally accorded to the leaders. We either have the traditional institutions as they are supposed to be or not at all. The author is the Business Development Director of The Observer Media Ltd.
Officially, last week’s blocking of Kabaka Ronald Mutebi’s visit to Nakasongola was for the king’s own safety, but underneath is the simmering struggle for power between the NRM and hardliners in Buganda Kingdom. The incident that embarrassed the monarch, analysts say, has undermined efforts at mending relations between Buganda and the ruling party that hit the lowest point after the July arrest of three officials for alleged subversion. The arrest of the officials; Lubega Segona, Peter Mayiga and Betty Nambooze, turned out to be a desperate attempt by the government to silence voices opposed to the Land Amendment Bill 2007. It appeared to have worked, at least in the short-term, as Mengo officials seem to have toned down on their criticism of the land bill, but last week’s incident in which the Kabaka was blocked from touring what he believes is part of Buganda, may have opened a fresh page in the souring relations. It is the first time since the restoration of the Buganda Kingdom that the government has physically confronted the Kabaka. Apart from the contentious land Bill, a change of approach by the Kabaka from occasionally addressing the Lukiiko (Buganda Parliament) to getting down to the grassroots to mobilize his subjects, appears to have rubbed the ruling party the wrong way. And the NRM has reason to get worried as the country moves closer to the 2011 elections with Buganda, the party’s traditional support base, disgruntled. Apart from being opposed to the land bill, Buganda is also demanding the so-called 9,000 square miles of land and a federal status—both demands the NRM is not about to grant. Clearly, the NRM is not prepared to watch its Buganda support-base slip to the opposition, which seems to enjoy better rating at Mengo lately. And with Mengo continuing to press for what it says are genuine demands, incidents such as these are certain to continue to occur. Some Buganda officials have told The Weekly Observer that the NRM is trying to create chiefdoms where they did not exist in Buganda, as a way of undermining the Kabaka’s influence in the region, Uganda’s most populous. They cite the Baruli in Nakasongola and Banyala in Bugerere. Government denies this charge. 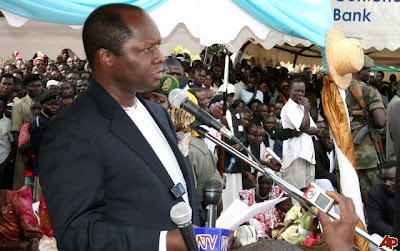 On October 7, Kabaka Mutebi arrived in Nakasongola at around mid-day. His first function was to launch a CBS Radio fans club in Mijeera, a trading centre on the Kampala-Gulu highway. 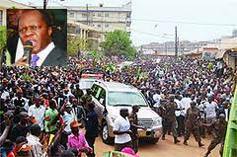 His convoy had been delayed by crowds waiting for him at the numerous trading centres along the highway. As the Kabaka addressed the people at the launch of the club, some of his ministers, including Kabuuza Mukasa, Apollo Makubuya, Apoloniya Mugumbya and Daudi Mpanga engaged security agents in some discussions on the sidelines. The security officials included the Regional Police Commander, Alfred Bitwire and Regional Internal Security Officer, one Lt. Musinguzi. The Buganda ministers told security agents that they had assessed the situation using people on the ground and concluded that there was no security threat to the Kabaka or any member of his team. This was in response to the Minister of Internal Affairs, Dr. Ruhakana Rugunda’s statement warning the Kabaka against visiting Nakasongola District headquarters, citing a security threat. The threat was understood to be coming from the pro- government traditional leader in the area, one Mwogeza Butamanya (the Sabaruuli). He was said to be opposed to the Kabaka’s visit to “his” [Butamanya’s] area. Butamanya was installed traditional chief of the Baruli during a function presided over by President Museveni a few years ago. But Bitwire reportedly told Mengo officials that he was under instructions from Kampala and asked Buganda’s Attorney General Makubuya to speak to the Inspector General of Police, Maj. Gen. Kale Kayihura, to relax the restriction. Bitwire indeed raised Kayihura on his cell phone and handed it over to Makubuya. After a brief conversation with Kayihura, Makubuya informed his colleagues that Kayihura had said he was very sorry, but the decision to stop the Kabaka from going to Nakasongola was final. He reportedly said he [Kayihura] was acting on instructions “from above”. It is at this stage, according to Kabuusa Mukasa, that the Mengo ministers confronted the security agents, telling them that the reason behind blocking the Kabaka was not security but politics. After failing to convince these security officials to allow their entourage to proceed, one of the ministers told Bitwire that since the Kabaka is a leader, he could decide to make the journey to Nakasongola despite the threat to his life. Upon hearing this statement, Lt. Musinguzi reportedly withdrew—probably to call in re-enforcement. Indeed, by the time the Kabaka convoy’s returned from Mijeera at around 5p.m, anti-riot police with teargas had taken charge of the junction to Nakasongola. Some Kabaka enthusiasts from Kakooge threatened to forcefully remove the Police barricades, but they were restrained. About three Police patrol pick-ups were parked in the middle of the road to ensure nobody drove through the roadblock even when the barriers were removed. Some officials on the Kabaka’s team reportedly saw a mamba (armoured military vehicle) in the vicinity. This was later denied by Dr. Rugunda. Before leaving Mijeera, Mutebi spoke with Nakasongola MP, Peter Nyombi, and Resident District Commissioner, David Mutawunga Maseruka. 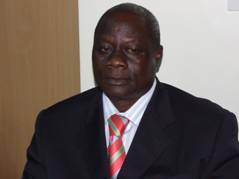 Nyombi told The Weekly Observer that there are two types of people in Nakasongola; those pro-Mengo and those loyal to Mwogeza Butamanya. He said the two groups need to sit and resolve their differences. Asked whether he gave Kabaka the same advice, Nyombi said he could not disclose details of a private discussion. 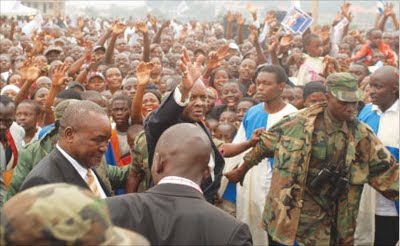 He faulted Mengo for not involving some local leaders, like himself, in organising the visit. The incident has infuriated Baganda. The CBS Radio Saturday talk show, Ekimeeza of October 11, was devoted to condemning the act. Two Mengo ministers; Kabuuza Mukasa and Medard Lubega spoke, warning that Baganda would not tolerate that level of provocation. The CBS radio has since the arrest of the three Mengo officials taken on a cautious approach, but this time it allowed uncensored comment on the matter, perhaps an indication of how seriously it was taken. Some Mengo officials have accused Security Coordinator, Gen. David Tinyefuza, of carrying out the operation that embarrassed the Kabaka. In fact, some claimed that the general had held a meeting with some people in Nakasongola during which the operation was plotted. But Tinyefuza, who sounded uncomfortable commenting on the matter, told The Weekly Observer that “there cannot be individual action” in a matter like this. He said no single individual can block the Kabaka and advised Mengo to look at it as a state matter. He said he himself is not a Muruuli and asked Mengo to find out, “is there a problem or no problem” and resolve it. MP Nyombi also says that real issues which Mengo ought to resolve exist in Buruuli. Reacting to the anger in Buganda, Rugunda said that government’s good intentions should not be distorted. “Government received reports about the Kabaka’s visit to Nakasongola. We also received reports that this visit may cause insecurity. We shared this information with Mengo both in person and official communication. 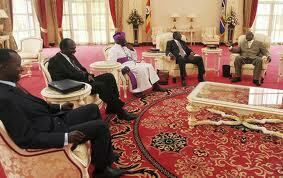 It was our well considered view that the Kabaka should postpone the visit to this area,” Rugunda said. In protest, angry Mengo officials boycotted the national independence celebrations at Kololo on October 9. Security sources say this was the reason government sent a car to pick Kamuswaga, Buganda’s Kooki chief, who attended it. The Kabaka has reacted by summoning the Buganda Parliament (Lukiiko) to discuss this matter on October 27. Earlier, commenting on the incident, he appealed to his subjects to avoid people who are sowing seeds of division. While in Nakasongola, Mutebi was scheduled to donate mattresses to Nakasongola Hospital, tour the newly rehabilitated Lwampanga landing site, and launch a model home. He was also scheduled to have lunch with his subjects at St. Joseph Parish. On October 8, the Kabaka was to preside over Buganda’s the 46th independence anniversary at the district headquarters. While the Constitution categorises Nakasongola as part of Buganda, which indeed it has been for more than 100 years, it is mainly populated by a sub-ethnic group –Baruli - that is related to the Banyoro of Bunyoro Kingdom. However, it was annexed to Buganda in the early 1900s. 5. Conduct of Kabaka's Government. 6. Kabaka to be kept informed. 7. Procedure when Lukiiko meets after dissolution. 9. Election of candidates for Ministerial offices. 12. Vacancies among the Ministers. 13. Vote of no confidence in Ministry. 14. Special procedure for financial measures. 15. Tenure of office of Ministers. 16. Termination of appointment of Minister for misconduct or incapacity. 17. Termination of appointment of Minister for failure to carry out policy of Ministry. 18. The Attorney-General of Buganda. 19. Permanent Secretaries to Ministries and divisional administrative officers. 20. Constitution of the Lukiiko. 21. Qualifications for elected membership. 25. Determination of questions as to membership of Lukiiko. 26. Prorogation and dissolution of the Lukiiko. 27. Speaker and Deputy Speaker. 29. Standing Orders for Lukiiko. 30. Determination of questions in Lukiiko. 36. 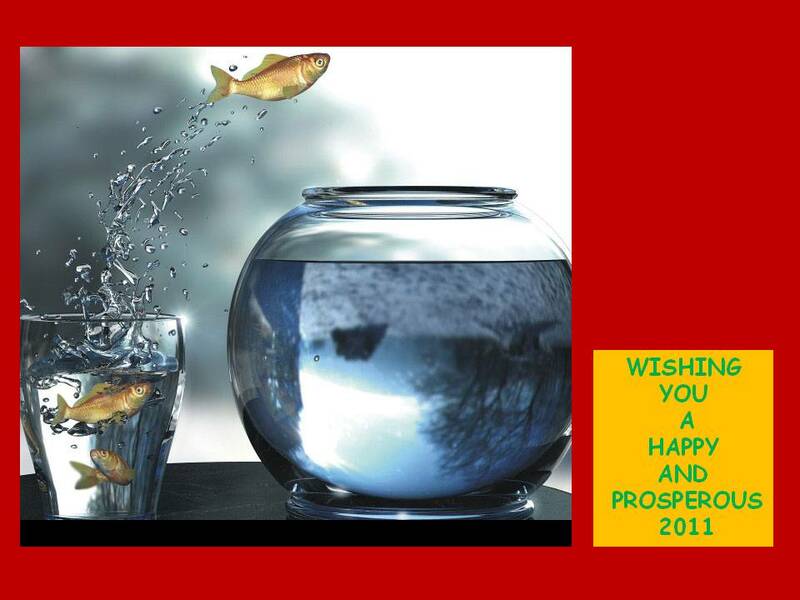 Buganda Public Service Commission. 37. Appointment of officers Of Kabaka's Government. 38. Tenure of office and disciplinary control of officers of Kabaka's Government. 39. Appointment, etc. of members of Kabaka's police force. "minor" means, in relation to the Kabaka, a person under the age of eighteen years. (2) Any reference in this Constitution to an officer in the service of the Government of Uganda or the Kabaka's Government by the term designating his office shall be construed as a reference to the officer for the time being lawfully performing the functions of the office. (1) The Kabaka (King) who is the Ruler of Buganda shall be elected by a majority of the votes in the Lukiiko. (2) The range of election shall be limited to the Royal Family of Buganda, that is to say, the descendants of Kabaka Mutesa I. (3) The Kabaka shall enjoy all the titles, dignities and pre-eminence that attach to the office of Kabaka under the law and custom of Buganda and the Namasole, the Nalinya Lubuga and the other members of the Royal Family of Buganda shall enjoy all such titles and precedence as they have heretofore enjoyed. (1) (a) If at any time the Kabaka is a minor or is unable, other than by reason only of his absence from Buganda, to perform his functions under this Constitution, the Lukiiko shall elect three persons to be Regents. (iii) if his appointment is terminated by resolution of the Lukiiko upon a motion proposed by not less than twenty members of the Lukiiko and in favour of which there are cast the votes of not less than two-thirds of all the members of the Lukiiko. (c) The Lukiiko may elect a person to any office of Regent if at any time during the subsistence of a Regency under this paragraph that office has become vacant. (2) (a) Whenever the Kabaka has occasion to be absent from Buganda, he may by writing under his hand appoint three persons to be Regents during such absence. (iv) if the Kabaka ceases to be able to perform his functions under this Constitution otherwise than by reason of absence from Buganda. (c) The Kabaka may appoint a person to any office of Regent if at any time during the subsistence of a Regency under this paragraph that office has become vacant. (d) The powers referred to in this paragraph shall not be exercisable during any period in which the Kabaka is a minor or is for any other cause other than absence from Buganda unable to perform his functions under this Constitution. (3) During the subsistence of a Regency under paragraph (1) or paragraph (2) of this article, the Regents shall, so long as they observe the terms of this Constitution, and subject to the provisions of paragraph (5) of this article, have full authority to perform the functions of the Kabaka under this Constitution. "I . , do hereby swear that I will be loyal to the Kabaka of Buganda, his heirs and successors, and will well and truly perform the functions of the office of Regent of Buganda according to law and will uphold the peace, order and good government of Buganda, and will do right to all manner of people, according to the Constitution, the laws, and the customs of Buganda, without fear or favour, affection or ill-will. So help me God." (5) (a) Any function of the Kabaka under this Constitution shall be performed by the Regents in the same manner, so far as custom allows, as that in which the functions would be performed by the Kabaka save that file signature of two Regents shall he a sufficient signification of the will of the Regents. (b) Where any matter is dependent on the decision of the Regents, any decision shall be regarded as the decision of the Regents if two of the Regents are in favour thereof. (c) If any Regent is absent from Buganda or for any other reason unable to perform the functions of a Regent or if the office of one of the Regents is vacant, it shall he sufficient if the functions of the Regents are performed by two Regents. (1) There shall be a Ministry for Buganda, which shall be called "the Kabaka's Council of Ministers" and is hereinafter sometimes for brevity referred to as "the Ministry". Provided that the number and designation of members of the Ministry other than the Katikkiro, the Omulamuzi and the Omuwanika may be varied from time to time by resolution passed by the Lukiiko. Provided that where the resignation is tendered in accordance with the provisions of article 7 of this Constitution, the Kabaka shall not accept the resignation until the Katikkiro-designate submits to him the names of persons selected for the ministerial offices in accordance with article 9 (6) of this Constitution. (4) Each member of the Ministry shall have such responsibilities as may be determined by the Katikkiro. (1) The Kabaka's Council of Ministers as a whole shall be charged with the conduct of the Kabaka's Government, and each Minister shall be individually responsible for such departments of the Kabaka's Government as may be placed in his charge. (2) All acts of the Kabaka's Government shall, save in so far as law and custom otherwise require, be done in the name of the Kabaka. (3) Where any function under this Constitution is exercisable by the Kabaka, that function shall, unless a contrary intention appears, be exercised by him by means of a written instrument signed by him in the presence of a Minister, who shall sign the same as witness. (4). (a) Where it is provided in this Constitution that the Kabaka may exercise a power upon the recommendation of any person or authority he shall exercise that power in accordance with the recommendation. (b) (i) A statement in writing signed by the Katikkiro that the Kabaka has exercised any power that is required to be exercised upon the recommendation of the Katikkiro or of the Ministry in accordance with the recommendation shall be conclusive evidence of that fact. 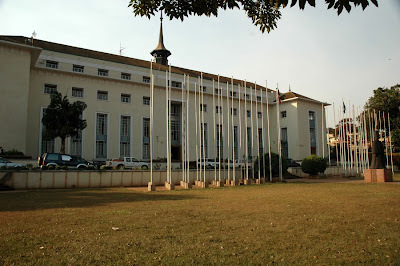 (ii) A certified true copy of a minute of the Buganda Public Service Commission or of any committee appointed by the Kabaka under this Constitution recording that the Kabaka has exercised any power that is required to be exercised upon the recommendation of the Commission or committee in accordance with the recommendation shall be conclusive evidence of that fact. The Katikkiro shall keep the Kabaka fully informed on all important matters concerning the Kabaka's Government. (1) When the Lukiiko meets for the first time after any dissolution thereof, the resignation of the Kabaka's Council of Ministers then in office shall be tendered. (2) When the resignation of the Ministry has been tendered in accordance with paragraph (1) of this article, a Katikkiro-designate shall he elected in accordance with the procedure laid down in article 8 of this Constitution and candidates for the ministerial offices shall be elected in accordance with the procedure laid down in article 9 of this Constitution. (1) The Speaker shall fix a day by which nominations of candidates for the office of Katikkiro shall be submitted to him. (2) (a) Any person may be nominated as a candidate for the office of Katikkiro, whether or not he is a member of the Lukiiko, by not less thin five members of the Lukiiko. (b) Nominations shall be submitted in writing, signed by the members making them, to the Speaker on or before the day fixed by him in that behalf. (3) The Speaker shall prepare a list of the persons who have been duly nominated and shall cause copies of the list to be laid before the Lukiiko. (4) On the fifth weekday after the list has been so laid or such other day as the Speaker shall consider convenient, the Lukiiko shall by secret ballot elect as Katikkiro-designate one of the persons whose name appears on the list. (5) If at any time the office of Katikkiro is vacant, the Speaker shall keep the Kabaka informed of the progress of elections under this article. (1) When the Katikkiro-designate has been elected, the Speaker shall fix a day by which nominations of candidates for the ministerial offices other than the office of the Katikkiro shall be submitted to him. (2) Any person may be nominated as a candidate for the ministerial offices, whether or not he is a member of the Lukiiko, either by the Katikkiro-designate or by not less than three members of the Lukiiko. (b) the Katikkiro-designate shall not nominate more thin five candidates. (4) The Speaker shall prepare a list of the persons who have been duly nominated for the ministerial offices and shall cause copies of the list to be laid before the Lukiiko and, if the names of more than fifteen persons appear in the list, the Lukiiko shall on the third weekday thereafter, or on such other day is the Speaker shall consider convenient, by secret ballot elect as candidates for the ministerial offices fifteen persons from among those persons whose names appear in the list. (5) The Katikkiro-designate shall select persons for appointment to the ministerial offices from the persons whose names appear in the list of candidates or, if the names of more than fifteen persons appear in that list, from the names of the persons elected as candidates by the Lukiiko. (6) The Katikkiro-designate shall submit the names of the persons selected under the foregoing provisions of this article to the Kabaka with a recommendation that each such person shall be appointed to a particular ministerial office. (7) If at any time the office of the Katikkiro is vacant, the Speaker shall keep the Kabaka informed of the progress of elections under this article. When the names of persons selected for the ministerial offices have been submitted to the Kabaka, the Kabaka shall appoint the Katikkiro-designate to be Katikkiro by, handing him the Ddamula and, not earlier than the following day, the Kabaka shall appoint the persons selected to the ministerial offices for which they have been recommended by the Katikkiro-designate by receiving their homage and allegiance in customary form in respect of such offices. (1) The Kabaka may, on the recommendation of the Katikkiro, transfer the holder of any ministerial office, other than the office of Katikkiro, to another such ministerial office. (2) When any person is to be transferred from one ministerial office to another under this article, he shall tender his resignation from the office that he is relinquishing to the Kabaka, who shall then receive his homage and allegiance in customary form in respect of the office to which he is being transferred. (1) If the offices of the Ministers become vacant at any time by reason of the resignation of the Ministry under article 13 of this Constitution a Katikkiro-designate and candidates for the ministerial offices other than the office of Katikkiro shall be elected in accordance with the procedure laid down in articles 8 and 9 of this Constitution, and the Katikkiro-designate and the other persons so elected shall be appointed to be Ministers in accordance with article 10 of this Constitution. (2) (a) If the office of Katikkiro becomes vacant at any time otherwise than by reason of the resignation of the Ministry, a Katikkiro-designate shall be elected in accordance with the procedure laid down in article 8 of this Constitution, and the Kabaka shall appoint him to be Katikkiro by handing him the Ddamula. (b) When a Katikkiro has been appointed in pursuance of subparagraph (a) of this paragraph, the other Ministers holding office at the time of the appointment shall tender their resignations to the Kabaka, and the Katikkiro shall recommend to the Kabaka in relation to each Minister either that he should accept or that he should refuse the resignation, and the Kabaka shall act in accordance with the recommendation. (vi) the Katikkiro shall submit the names of the persons selected under the foregoing provisions of this sub-paragraph to the Kabaka with a recommendation that each such person shall he appointed to a particular ministerial office, and the Kabaka shall appoint the persons selected to the ministerial offices for which they have been recommended by receiving their homage and allegiance in customary form in respect of those offices. (3) (a) If a ministerial office other than that of the Katikkiro becomes vacant at any time otherwise than by reason of the resignation of the Ministry, the Speaker shall, so soon as convenient, fix a day by which nominations of candidates for the office shall be submitted to him. Provided that no person shall join in nominating more than one candidate. (d) The Speaker shall prepare a list of the persons who have been duly nominated for the vacant office and shall cause copies of the list to be laid before the Lukiiko; and if the names of more than five persons appear in the list, the Lukiiko shall on the third weekday thereafter, or on such other day as the Speaker shall consider convenient, by secret ballot elect as candidates for the vacant office five persons from among those persons whose names appear in the list. (e) The Katikkiro shall select a person for appointment to the vacant office from the persons whose names appear in the list of candidates or, if the names of more than five persons appear in that list, from the names of the persons elected as candidates by the Lukiiko. (f) The Katikkiro shall submit the name of any person selected under the foregoing provisions to the Kabaka, and the Kabaka shall appoint him to the vacant office by receiving his homage and allegiance in customary form in respect of the office. 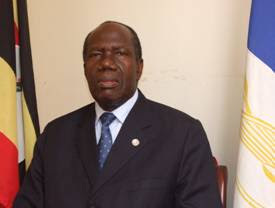 (1) If a motion declared by the Speaker under paragraph (3) of this .article to be a motion of no confidence in the Kabaka's Council of Ministers on an important matter, in favour of which there are cast the votes of not less than two-thirds of all the members of the Lukiiko, is carried by the Lukiiko, the resignation of the Ministry shall be tendered to the Kabaka through the Speaker. (2) Fourteen days' notice shall be given to the Lukiiko by the Speaker before any such motion is debated. (3) If in the opinion of the Speaker any motion (including a motion that has been amended) that has been proposed by not less than twenty members of the Lukiiko is a motion signifying no confidence in the Ministry on an important matter, he shall declare it as such and his declaration shall be final. Provided that any motion proposed by not less than forty of the Lukiiko that specifically expresses no confidence in the Ministry shall be deemed for the purpose of this article to be a motion of no confidence in the Ministry on an important matter and shall he declared by the Speaker to be such a motion. 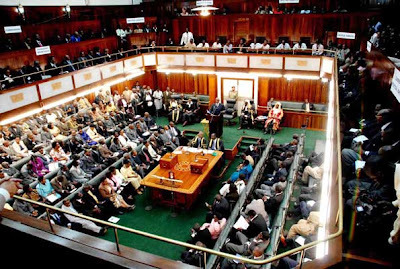 (1) If any Appropriation bill or Supplementary Appropriation bill of the Kabaka's Government or any bill or motion for making financial provision for any purpose is proposed in the Lukiiko by a Minister, and the bill or motion is rejected by the Lukiiko, the Katikkiro may give notice to the Speaker that he proposes to treat the said bill or motion as a matter of confidence in the Ministry. (2) At any time not less than fourteen days and not more than twenty-eight days after notice has been given to the Speaker in pursuance of paragraph (1) of this article, a Minister may again introduce the bill or motion with or without amendment. 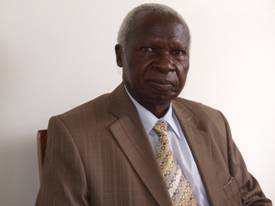 (3) If the bill or motion is then rejected by the Lukiiko by the votes of not less than two-thirds of all the members of the Lukiiko, a vote of no confidence in the Kabaka's Council of Ministers shall be deemed to have been carried by the Lukiiko, and the resignation of the Ministry shall be tendered in accordance with the provisions of article 4 (3) of this Constitution; but in any other case the bill or motion shall be deemed to have been passed by the Lukiiko. (4) In this article the expression "rejected by the Lukiiko" means not passed by the Lukiiko without amendment or passed by the Lukiiko with amendments that are not acceptable to the Ministry. (c) if the appointment is terminated under articles 12, 13, 16 or 17 of this Constitution. (2) Whenever the office of the Katikkiro becomes vacant the Ddamula shall be delivered to the Kabaka forthwith in the customary manner. Provided that if the offices of all the Ministers are vacant, the functions of each Minister (other than those functions that he performs in his capacity as a member of a Lukiiko) shall, during the period in which the said office remains vacant, be discharged by the Permanent Secretary to that Minister. (1) The Kabaka shall terminate the appointment of a Minister if he is convicted of a criminal offence and is sentenced to imprisonment without the option of a fine. (2) If a Minister is convicted of a criminal offence and is not sentenced to imprisonment without the option of a fine, and the offence in the opinion of the Kabaka might involve moral turpitude, the Kabaka shall appoint a committee, consisting of such persons as he shall consider suitable, to enquire into the nature of the offence; and the committee shall, if it is satisfied that the offence involved moral turpitude, inform the Kabaka accordingly, and thereupon the Kabaka shall terminate the appointment of the Minister. (3) If in the opinion of the Kabaka a Minister may have become incapable of performing his functions as a Minister by reason of physical or mental infirmity, the Kabaka shall appoint a committee consisting of such persons as he shall consider suitable to enquire into the matter; and the committee shall, if it is satisfied that the Minister has become incapable of performing his functions as a Minister by reason of physical or mental infirmity, inform the Kabaka accordingly and thereupon the Kabaka shall terminate the appointment of the Minister. (1) If in the opinion of the Katikkiro any Minister has failed to carry out the policy or the decisions of the Ministry either persistently or in respect of an important matter, he may call a meeting of the Ministers, and propose that the Minister should be dismissed. (2) The proposal shall be put to the Vote, and if a majority of the votes of the Ministers are cast in favour of the proposal, the Katikkiro shall recommend to the Kabaka that he should terminate the appointment of that Minister and the Kabaka shall terminate the appointment accordingly. (3) Each Minister, other than the Minister whose dismissal is proposed, may vote on the proposal and in the event of an equality of votes the Katikkiro may exercise a casting vote as well as an original vote. (1) There shall be in Attorney-General for Buganda, who shall be the principal legal Adviser to the Kabaka's Government. (2) The Attorney-General of Buganda shall be entitled to appear on behalf of the Kabaka's Government in all civil proceedings in which the Kabaka's Government is a party. (3) The Attorney-General of Buganda shall be entitled to take part in the proceedings of the Lukiiko, but shall not be entitled to vote unless he is a member. 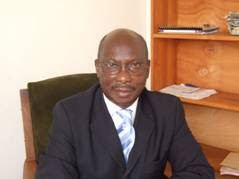 (4) The Director of Public Prosecutions of Uganda shall be responsible for the control of all criminal proceedings in Buganda except criminal proceedings instituted in the Principal Court or in any Buganda Court functioning under the Buganda Courts Ordinance in regard to which prosecutions the Director of Public Prosecutions of Buganda shall have general responsibility, supervision and control. (1) There shall be a Permanent Secretary to each Minister. 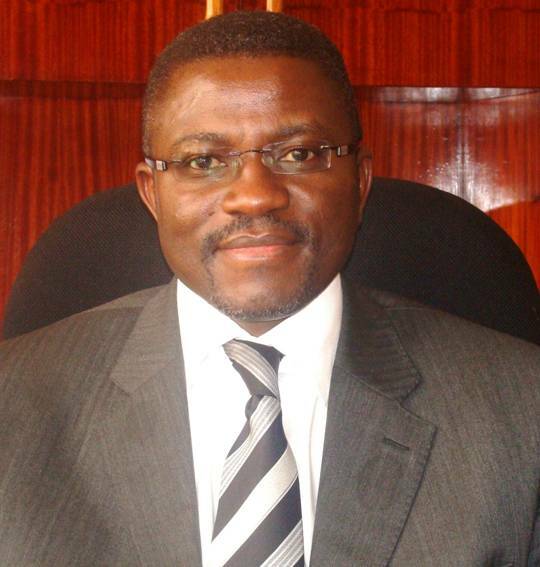 (2) The Permanent Secretary to the Katikkiro shall be Head of the Buganda Civil Service. (3) There shall be such number of divisional administrative officers as the Katikkiro shall determine, who shall be responsible to the Katikkiro. Provided that the number of Ministers of the Kabaka's Government who are ex-officio members of the Lukiiko by virtue of this paragraph shall not exceed six. (1) A person shall be qualified for election as an elected member of the Lukiiko if he has the qualifications prescribed by the Constitution of Uganda for election as an elected member of the National Assembly (other than any qualification relating to the ability to speak English) and is not disqualified by or under that Constitution for election as such a member. (2) No person shall be qualified for election or appointment as a member of the Lukiiko if he is a Minister of the Government of Uganda, a parliamentary Secretary or the Attorney-General of Uganda. (1) The Kabaka's Government shall whenever it shall be necessary for the review of the boundaries of constituencies appoint an Electoral Boundary Commissioner. (2) The Electoral Boundary Commissioner shall be an independent and impartial person and, in the discharge of his functions under this Constitution, shall not be subject to the direction or control of any other person or authority. 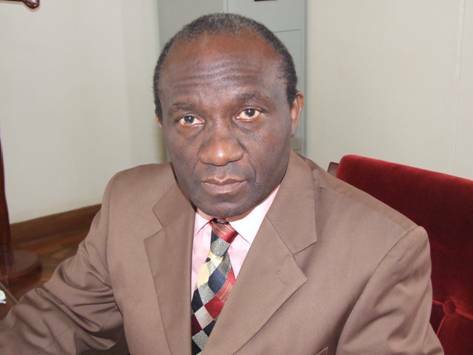 (3) The Electoral Boundary Commissioner shall be appointed for such period as may be agreed between the Commissioner and the Kabaka's Government as being necessary for the performance of his functions under article 23 of this Constitution and during that period he shall not be removed from office by the Kabaka's Government except for inability to discharge the functions of his office (whether arising from infirmity of mind or body or from any other cause) or for misbehaviour. (1) For the purposes of elections to the Lukiiko, Buganda shall be divided into as many constituencies as there are elected members of the Lukiiko in such manner as the Electoral Boundary Commissioner may, by order published in the Akiika Embuga, prescribe. (2) The boundaries of each, constituency shall be such that the electorate, as far as practicable, is equal in all constituencies. (3) The boundaries of the constituencies for elections to the Lukiiko shall be reviewed by an Electoral Boundary Commissioner from time to time at intervals of not more than five years, and, upon the completion of the review, the Electoral Boundary Commissioner may make such alterations in the boundaries of the constituencies as he may consider necessary to give effect to the provisions of paragraph (2) of this article. Provided that the President, after consultation with the Kabaka's Government, may by order make such modification in that law, for the purposes of its application to elections to the Lukiiko, as he may consider necessary. The High Court of Buganda shall have original jurisdiction to hear and determine any question whether any person has been validly appointed, selected or elected as a member of the Lukiiko. (1) The Kabaka may at any time prorogue or dissolve the Lukiiko. (2) The Lukiiko, unless sooner dissolved, shall continue for five years from the date of its first sitting after any dissolution and shall then stand dissolved. (3) In the exercise of his powers to dissolve the Lukiiko, the Kabaka shall act in accordance with the recommendation of the Katikkiro. Provided that the Kabaka may, at any time, dissolve the Lukiiko if he considers it to be in the interests of Buganda to do so, notwithstanding that the Katikkiro has not recommended a dissolution or has recommended that the Lukiiko should not be dissolved. (1) When the Lukiiko first meets after any dissolution thereof, the members present shall, before transacting any other business, elect a Speaker and a Deputy Speaker of the Lukiiko. (2) As often as the office of Speaker or the Deputy Speaker falls vacant otherwise than by reason of a dissolution of the Lukiiko, the members thereof shall as soon as is practicable elect a person to the office. (3) A person may be elected to be Speaker whether or not he is a member of the Lukiiko. (4) No person shall be elected as Deputy Speaker unless he is a member of the Lukiiko. (5) The Speaker shall receive such salary as may from time to time be determined by a Buganda law. (d) if his appointment is terminated by a resolution of the Lukiiko upon a motion proposed by not less than twenty members of the Lukiiko and in favour of which there are cast the votes of not less than two-thirds of all the members of the Lukiiko. (c) in the absence of the Speaker and the Deputy Speaker, such person as may be elected by the Lukiiko from among the members of the Lukiiko. Subject to the provisions of this Constitution, the Lukiiko may make Standing Orders for the regulation and orderly conduct of its own proceedings and for the passing of Buganda laws. (b) if on any question the votes are equally divided, the motion shall be lost. (2) No business except that of adjournment shall be transacted in the Lukiiko if there are present (besides the Speaker or other person presiding) less than forty-five members of the Lukiiko. (1) The Legislature of Buganda shall consist of the Kabaka acting with the advice and consent of the Lukiiko. (2) The power of the legislature of Buganda to make laws shall be exercised by bills passed by the Lukiiko and assented to by the Kabaka. (3) When a bill has been passed by the Lukiiko it shall be submitted by the Katikkiro to the Kabaka, who shall sign the same in token of assent. (4) A Law passed by the Legislature of Buganda shall be published in the Akiika Embuga in Luganda and in the Uganda Gazette in English, and shall come into force on the date of its publication in the Akiika Embuga, whether or not the Law has been published in the Uganda Gazette by such date. Provided however that such Law may postpone the operation of any of its provisions or provide for any of its provisions taking effect retrospectively. (1) The Omuwanika shall cause to be prepared and laid before the Lukiiko in each financial year estimates of the revenues and expenditure of Buganda for the next following financial year. 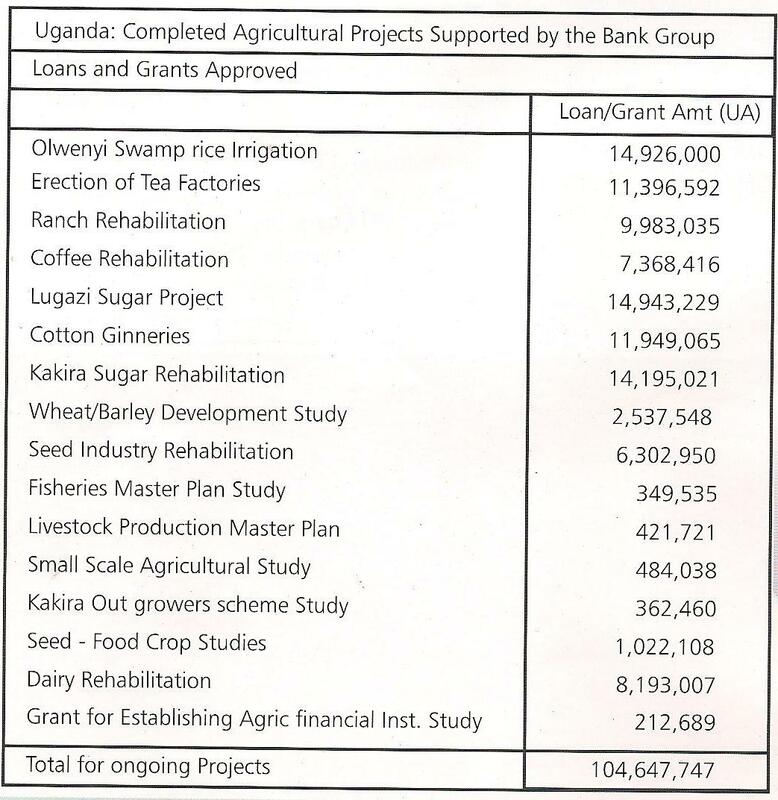 (2) The heads of expenditure contained in the estimates shall be included in a bill to be known as an Appropriation bill, providing for the issue from the funds of the Kabaka's Government of the sums necessary to meet that expenditure and the appropriation of those sums for the purposes specified therein. (3) If in respect of any financial year it is found that the amount appropriated by the Appropriation law for any purpose is insufficient or that a need has arisen for expenditure for a purpose for which no amount has been appropriated by the Appropriation law, a supplementary estimate showing the sums required shall be laid before the Lukiiko and the heads of any expenditure shall be included in a supplementary Appropriation bill. (4) Before submitting estimates to the Lukiiko the Omuwanika shall cause those estimates to be sent to the Minister of the Government of Uganda responsible for finance and the Kabaka's Government shall consider the observations of that Minister on those estimates. (1) The public accounts of the Kabaka's Government shall be audited and reported on by the Controller and Auditor-General of the Uganda Government or by such other auditor as may be approved by the Controller and Auditor-General and for that purpose the auditor or any person authorised by him in that behalf shall have access to all books, records, reports and other books relating to those accounts. (2) The Kabaka's Government shall send to the auditor the accounts of that Government duly made up within four months of the conclusion of the period to which they refer. (3) The auditor shall submit his report to the Minister of the Government of Uganda responsible for finance and to the Kabaka's Government and the Kabaka's Government shall cause the auditor's report together with the accounts to which it refers to be published in the Uganda Gazette and the Akiika Embuga. (b) any measures it considers necessary in order to ensure that the funds of the Kabaka's Government are properly and economically spent. (2) The Public Accounts Committee shall submit its report to the Omuwanika within three months of the publication of the accounts and the report of the Public Accounts Committee together with the Omuwanika's comments thereon shall be laid on the table of the Lukiiko and published in the Uganda Gazette and in the Akiika Embuga within two months of its submission to the Omuwanika. (3) The Public Accounts Committee shall be entitled to see any observations made by the Minister of the Government of Uganda responsible for finance under the provisions of article 32 of this Constitution. (1) The Lukiiko may establish standing and ad hoc committees, consisting of members of the Lukiiko, for any purpose. Provided that the Lukiiko may by resolution vary the subjects specified in this paragraph. (3) Each standing committee established under paragraph (2) of this article shall be under the chairmanship of the Minister who is responsible for the subject with which the committee is dealing, and its function shall be to study that subject and advise the Minister thereon. (4) The Permanent Secretary to the Minister who is chairman of the committee and any other persons who are required by the committee for its efficient working may attend and take part in the deliberations of any committee established under paragraph (2) of this article; but shall not vote therein. (5) Nothing in this article shall apply to or affect the functions of the standing committees of the Lukiiko in existence at the commencement of this Constitution. (b)three other persons, who shall be appointed by the Kabaka upon the recommendation of the Ministry. (2) The Ministry shall recommend for appointment as members of the Commission persons who they are satisfied are experienced in public affairs but are not at the time actively engaged in politics. (d) if his appointment is terminated under paragraph (4) of this article. (4) (a) The Kabaka shall terminate the appointment of a member of the Commission if he is convicted of a criminal offence and is sentenced to imprisonment without the option of a fine. (b) If a member of the Commission is convicted of a criminal offence and is not sentenced to imprisonment without the option of a fine, and the offence in the opinion of (the Kabaka might involve moral turpitude, the Kabaka shall appoint a committee consisting of such persons as he shall consider suitable to enquire into the nature of the offence; and the committee shall, if it is satisfied that the offence involves moral turpitude, inform the Kabaka accordingly, and thereupon the Kabaka shall terminate the appointment of the member. (c) If in the opinion of the Kabaka a member of the Commission may have become incapable of performing his functions as a member of the Commission by reason of physical or mental infirmity, the Kabaka shall appoint a committee consisting of such persons as he shall consider suitable to enquire into the matter; and the committee shall, if it is satisfied that the member has become incapable of performing his functions as a member of the Commission by reason of physical or mental infirmity, inform the Kabaka accordingly, and thereupon the Kabaka shall terminate the appointment of the member. (1) (a) Appointments to the office of Permanent Secretary to a Minister, to the office of Saza Chief, Gombolola Chief, Muluka Chief and to the offices specified in the Schedule to this Constitution shall, subject to the provisions of this article and of article 19, be made by the Kabaka on the recommendation of the Buganda Public Service Commission. (b) The Kabaka shall make appointments under this paragraph by receiving from each person to be appointed to an office his homage and allegiance in customary form in respect of that office. (2) (a) The Buganda Public Service Commission shall, subject to the provisions of this article and of article 39, be responsible for the appointment of all officers and employees in the service of the Kabaka's Government other than those appointed by the Kabaka under paragraph (1) of this article. (b) For the purposes of this paragraph the offices of Minister, Parliamentary Secretary, Speaker of the Lukiiko, Deputy Speaker of the Lukiiko and member of the Public Service Commission shall not be regarded as offices in the service of the Kabaka's Government. (3) Appointments under this article shall be made in conformity with the provisions of the Buganda Staff Regulations. 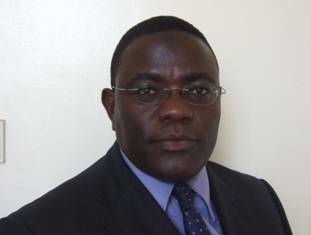 (b) if his appointment is terminated by the Kabaka on the recommendation of the Buganda Public Service Commission or, in the case of the Permanent Secretary to the Katikkiro, on the recommendation of the Katikkiro on the grounds of misconduct, inefficiency or ill health. 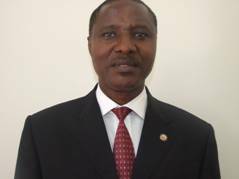 (b) if his appointment is terminated by the Buganda Public Service Commission on the grounds of misconduct, inefficiency or ill health. (3) The Buganda Public Service Commission shall, subject to the provisions of this article and article 39, be responsible for the disciplinary control of all chiefs, officers and employees in the service of the Kabaka's Government. (4) The powers conferred upon the Buganda Public Service Commission by this article shall be exercised in conformity with the provisions of the Buganda Staff Regulations. (5) For the purposes of this article the offices of Minister, Speaker of the Lukiiko, Deputy Speaker of the Lukiiko and member of the Buganda Public Service Commission shall not be regarded as offices in the service of the Kabaka's Government. (ii) no appointment shall take effect until it is confirmed by the Inspector-General. (2) Subject to the provisions of this article, power to exercise disciplinary control over persons holding or acting in offices in the Kabaka's Police Force of and above the rank of Assistant Superintendent and to remove such persons from office shall vest in the public Service Commission of Buganda. (3) Subject to the provisions of this article, power to exercise disciplinary control over persons holding or acting in offices in the Kabaka's Police Force below the rank of Assistant Superintendent and to remove such persons from office shall vest in the chief officer of the force. (b) to the Inspector-General, from a decision to exercise disciplinary control or remove a person from office such as is referred to in paragraph (3) of this article. (5) Any power to exercise disciplinary control or to remove from office, and any power to determine appeals from a decision made in exercise of such a power that is vested in any person by this article shall be exercised in accordance with such provision as may, subject to the provisions of this article, be made in that behalf by Parliament. 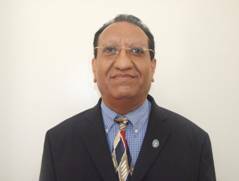 (g) such other matters relating to departmental procedure and the duties and responsibilities of chiefs, officers and employees, as the Ministers consider can be best regulated by such regulations. (c) deductions from salary in respect of damage to property caused by misconduct or breach of duty. (3) The Buganda Staff Regulations as from time to time in force shall, except as otherwise provided in such regulations or in any contract of service, form part of the terms of service of any person to whom they apply. (1) At the head of each Saza in Buganda there shall be a chief who shall he called a Saza Chief and who shall be responsible to the Katikkiro for the administration of his Saza and for the collection of the taxes he is required to collect by the Katikkiro. (2) Each Saza shall be divided into Gombololas and each such Gombolola shall be in charge of a chief who shall be called a Gombolola Chief. Each Gombolola shall he divided into Miruka, and in each Muluka there shall be a chief who shall be styled a Muluka Chief. (3) Gombolola and Muluka Chiefs shall assist Saza Chiefs in the performance of their duties. THE SCHEDULE TO THE CONSTITUTION OF BUGANDA. 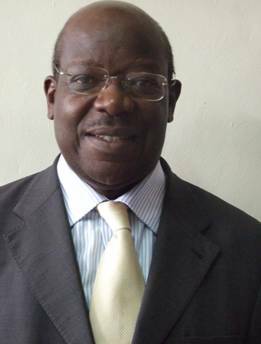 The Solicitor General of Buganda. The Director of Public Prosecutions, Buganda. The Senior Assistant Secretaries to Ministers. Judges of the Kabaka's Courts (other than the Buganda High Court or persons, appointed by, or on the advice of, the Uganda Judicial Service Commission). The Chief Officer of the Kabaka's Police Force. The Private Secretary to the Kabaka. Assistants to the Superintendent of Works. KITUUKA, ARE YOU NOT WORRIED FOR YOUR SECURITY? 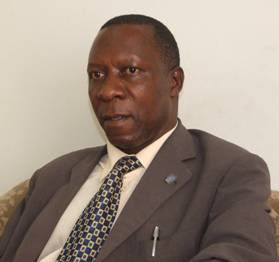 COULD NRM BE SCHEMING TO KILL NKUMBA UNIVERSITY?